Dropping three out of four games to the San Francisco Giants this weekend seems to have put an end to any talk of the New York Mets being part of a pennant race in 2014. I refused to believe in the phantom playoff run while the Mets’ record was under the .500 mark, but they definitely can still play a role in deciding who wins the National League East. 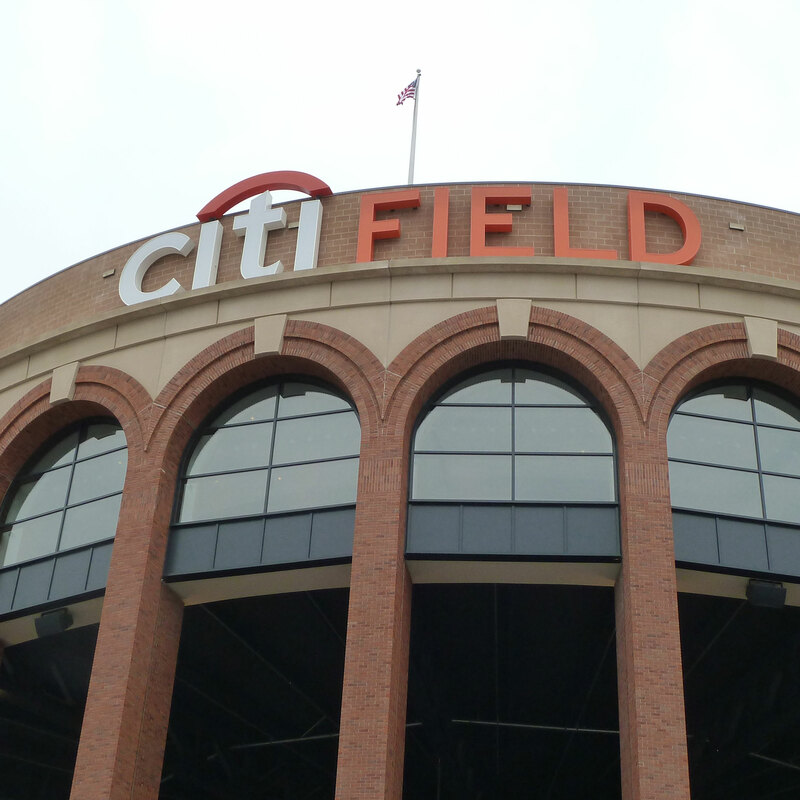 Tonight is the first of 13 games the Mets have left against the Washington Nationals. While I’m loathe to see them help out the Atlanta Braves, I’d love it if the Mets were able to knock Washington out of the playoff picture. I’m also encouraged by the Mets’ decision to remove Bobby Abreu from the active roster. While the former Phillies star was briefly one of the Mets’ best hitters, he turned out to be completely unsuited to a pinch-hitting role. I hope that Terry Collins actually plays Kirk Nieuwenhuis so we can find out if he can be a contributor at the major league level now and in 2015. There is no reason to continue to start Chris Young on a regular basis, and little reason to keep him on the roster except to salve Sandy Alderson‘s ego. Nieuwenhuis, Eric Campbell and Eric Young Jr. can all play left field. They may or may not hit more than Chris Young did when given regular playing time, but they are all under team control in 2015. Chris Young’s contract mercifully expires at the end of the season and he’ll be left hoping that his agent can find another major league general manager who believes he can return to his 2010 All-Star form. So, I just pulled out a scorebook in which one of the games is a July 6, 2008 game between Brooklyn and Mahoning Valley, which turned out to be one of only two Cyclones games I’ve ever been to (it’s a shlep from NJ). And the only reason that date is significant (for me, at least), is that I did an inning on the radio with the late Warner Fusselle as it was one of the silent auction prizes for my son’s grad ball. It was a lot of fun and it led to my future career of doing the final six weeks of Newark Bears games when, in a customary fit of insanity, Spencer Ross was unceremoniously dumped (and for which he sued them–fate of that unknown). And, in the lineup that day were Ike Davis, Kirk Nieuwenhuis. Josh Satin, Zach Lutz and Eric Campbell (came in to play third for Lutz in the fourth inning and got a hit and a walk). Davis, obviously, moved up the food chain the fastest of all but appears to have fizzled out quite a bit (who needs a .243/.347/.366 firstbaseman–his Pirates’ numbers?). The others took quite a bit longer to develop and, as they’re all in their late 20s (and Lutz is now in Japan), have little upside left to their careers. Not sure why Nieuwenhuis never got his chance as he appears to be another Lagares-type and he comes a lot cheaper than either Young. For that matter, though running down fly balls doesn’t equate with stealing bases, I’m not sure why either guy isn’t much of a base stealer as it would make them a lot more valuable. After all, Lagares could actually be one of the best defensive CF in history (and I don’t say that lightly). But at a one-dimensional .260-.270 (as I think his current .283 is an aberration), the defense will only take him so far. The sad part is that these guys took so long to develop (Lagares is only 25, so he has a leg up on the others) with guys like Satin and Lutz ending up as AAA players and, considering the Mets’ fortunes over the past few years, could have been playing at the major league level more if just to showcase them and get something of value in return and not blow $15 million per on Granderson or $7 mil on Chris Young. Maybe all these guys ever were ever destined to be were AAA players who get a shot at “the show” and hang on as 24th and 25th guys for a few years. With the range Lagares has in the outfield, I’m surprised he’s not more of a base stealer too. As much as I like his defense, I have to consider center field as a spot where the Mets could (and maybe should) think about upgrading their offense. With guys like Lagares, Nieuwenhuis and den Dekker, you’d have to find some desperate GM who thinks they’re potentially worth more than they actually are. Otherwise, you’ll get something of equal or lesser value back in return. It used to be that you could sort of sell a guy as being better than he was as the minor league and defensive numbers weren’t out there. But, now, you can’t hide. And a guy like Lagares is out there for all to see–a one-dimensional .260 hitter with a great glove who doesn’t steal bases. My guess is that he’d be a throw-in with a bigger pitching name in order to upgrade the offense a bit. Or they can work with Lagares and make a base stealer out of him and add something to his game. As far as the Atlantic League, I haven’t seen a game since I worked for Newark five years ago. Can’t believe it’s been five years.